: Sprinkling your carpet with baking soda and allowing it time to absorb the odors is an inexpensive and natural way to get rid of pet odors. : Use baking soda and vinegar as a spot cleaner for carpets. : Baking soda and vinegar can keep your drains draining, and will deodorize them as well. : Use baking soda and aluminum foil to take tarnish from silver pieces without any buffing. : Baking soda makes a less-caustic and inexpensive scouring powder, without the nasty fumes. : You can make your own with borax and baking soda, eliminating the scents added to many commercial powders. : Make a paste with baking soda and vinegar or lemon juice to clean tarnished pieces. : Baking soda works as a tire cleaner, as well as a carpet and upholstery cleaner in your car. : Use baking soda and vinegar to unclog a toilet without a plunger. : Baking soda is not the best cleaner for marble as it is alkaline and could damage marble. Here are precautions if you use it rarely. Toothpaste/Teeth Whitener: Baking soda is used in many types of toothpaste and teeth whitening products. You can make your own paste with baking soda, table salt, and glycerine. : You can use baking soda in water, with or without salt, as a mouthwash. It is even recommended by the National Cancer Institute for people who have a dry mouth due to chemotherapy. : A little baking soda on a damp washcloth could replace other deodorant products. : Equal parts baking soda and cornstarch can be applied to your hair to remove oil when you don't want to wash your hair. : Use baking soda instead of shampoo until your dandruff subsides. : Mix one part baking soda with three parts water to form a paste. Use this fresh as shampoo. 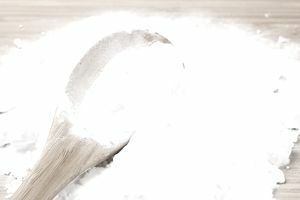 : You can turn baking soda into baking powder with this trick. : You can use baking soda and lemon juice or buttermilk. : You can use baking soda as a dry shampoo or wet shampoo for your dog. : Sprinkle baking soda at the bottom of your cat's litter box, before you add the litter. : Use this trick with vinegar and baking soda to see if your soil is acidic or alkaline. Powdery Mildew Home Remedy: Spray your plants with this mixture to prevent the problem. Invisible Ink: Have fun with this non-toxic way to write secret messages.